STILL THE BEST WAY TO RECRUIT? Competency based interview questions are said to be the most effective way to determine whether a candidate is suitable for a role. Each question in a competency based interview, sometimes referred to as a structured or behavioural interview, is intended to test the specific skills and knowledge, as well as attitude, of an individual. In any case study of this approach to interviewing, you will find variations of questions which begin ‘how do you…’ or ‘tell me about a situation when…’ Concrete examples are then required by the person being assessed, and these evidence-based answers will be marked against a pre-agreed set of criteria. Want to customise your own competency based interview scorecard? Click here to download our free PDF. We decided to ask some of our consultants what they think of competency based interviews and which strategies and techniques have proven successful for them in their recruiting careers. The approach, according to our experts, should always be driven by your needs first and foremost. 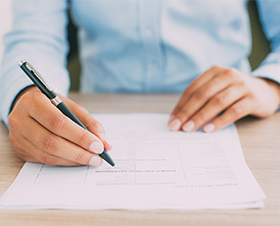 In most cases, and especially if an assignment is retained, companies will insist on using competency based interview questions to determine candidate fit. 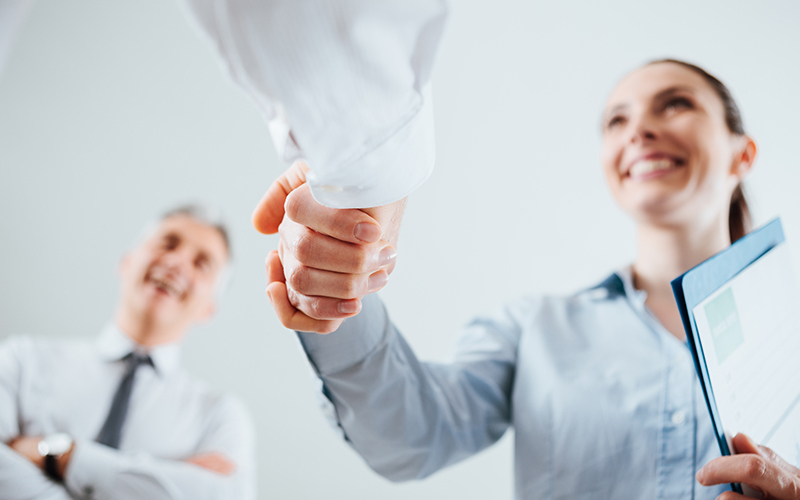 A recruiter’s role is to work closely with you and advise which competencies should be tested. These are tailored to fit the brief of the role and discipline (what the successful candidate is expected to deliver) as well as your culture and the team the ideal candidate will join. Each company is different, though. Not only in the competencies they find attractive, but also in how they interpret what a certain behavioural competency is. Having an intimate understanding of how you think is critical to overall success. Interviews should always be focused on assessing skills, knowledge and experience as well as competencies and an individual’s alignment to values. They’re not intended to test ability, but rather gather as much evidence as possible from candidates in relation to the pre-agreed competencies. The method coached at Nigel Wright is conversational. Our experts all agreed that you should judge the quality of answers given. How in-depth are they? Are they ‘high level?’ Do they provide lots of examples? If someone is skirting around the details or isn’t forthcoming with information about an area they claim expertise in, it’s usually a sign they’re not right. Candidates are always convinced, though, that they’re giving you what you need. This is where technique becomes important, as you must probe the evidence provided so that answers are as thorough as possible to get good insight into the candidate. Once you’re clear about the information you need from a candidate, style dictates how you go about gathering that information. At Nigel Wright, each consultant develops their own style over time which they use within the parameters of the competency based interview. Some will prefer a very structured approach, while others will be flexible – having a list of key questions to ask but mixing these in with other discussion points related to the role and your organisation. Scoring systems are used occasionally if you request it, though relying too much on metrics, our experts claim, can create issues as people can learn to answer competency based interview questions in the right way and score highly, while still not having the necessary skills, experience and knowledge for a role. Networks and industry knowledge, as well as experience at making informed judgements about whether candidates have the right cultural fit and behavioural competencies to succeed are valuable. All our experts were adamant that, although some people are naturally stronger at judging character than others, experience developed over several years of interviewing people will make you better at it. During their first year at Nigel Wright, a Junior Consultant will conduct face to face interviews with between 200-300 candidates. So, once someone has been at our business for several years, they’ve got thousands of interviews under their belt. Competency based interview questions are ‘skills and experience’ related and should probe things like leadership, driving change and transformation, managing conflict, people engagement and collaboration. Significantly, you must always probe in a way which reveals whether someone played a leading or supporting role in the examples given. The emphasis should be: did you really do it or were you just part of the team that did it? ‘We did this’ answers score low, and an ‘I did this’ answer scores highly.’ But then you need to find out how they did it. Or what role they played within the team. Some people are understated in their style too, while others are overstated ­– so all the while you’re assessing how truthful someone is by digging for tangible evidence. How did you deliver the project? How was it received by senior management? What problems did you face and how did you overcome them? How do you drive change? How do you manage a difficult situation? How do you achieve results? How did you drive business growth? How did you turn your strategic vision into a tactical plan? What makes you different to the other shortlisted candidates? How do you manage high performing staff? Give an example of how you dealt with an underperforming team member. How do you influence your team? How do you challenge underperformers? How did you embed (e.g. appraisal objectives, restructuring, development needs, etc.) through your managers and team leaders to the people at the lowest levels of the business? How would the people in your team describe you? How do you feel about managing a team? What’s the toughest situation you’ve ever faced? How senior were your stakeholders? How instrumental were you in the success of the project? Did success happen because of you, or by chance? How difficult was the process? How have you been managed in the past? Who’s been the best manager you’ve had and why? How did you get other managers to buy into your vision? How do you vary your communication skills to operate at different levels? How do you take people with you on a journey? How did you influence people on the shop floor to get on board with change? How did you translate process improvement to show its impact on the bottom line? Can you give examples of when you’ve applied ‘X’ technique? Can you give examples of driving improvements in the manufacturing process? Can you give examples of when you have streamlined processes? Can you give examples of when you have reduced downtime? Can you give examples of increasing output? Can you give examples of improving the availability of equipment? Give an example of how you’ve successfully launched a product? What impact did you make on webpage views? What PPC conversions did you achieve? How instrumental were you in the success of the digital marketing efforts? How did you consistently hit your targets? How much revenue did you create last year? What real value do you bring to the company? What is the structure of the HR team and where do you fit in? How would you define the role of an HR Business Partner? What has been your focus for the last six months? How have you transformed the HR team? Explain how you have modernised how HR delivers services? 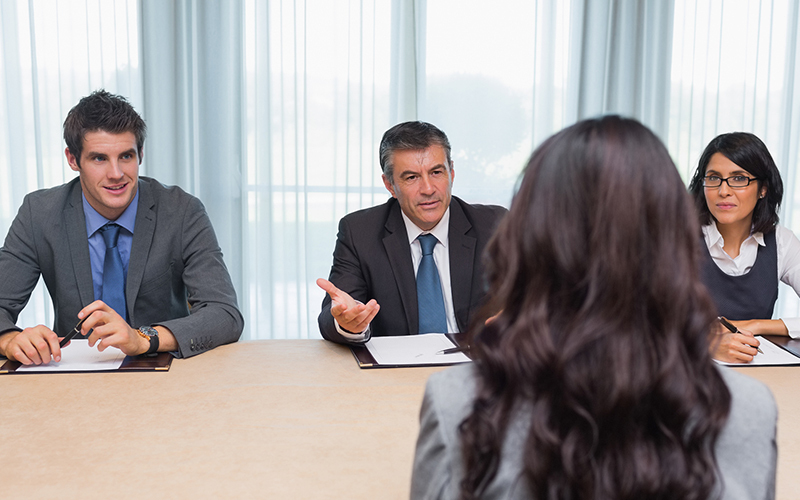 An alternative method to competency based interviews is to perform an unstructured interview – basically a conversation based around a few general questions which allow an interviewer to gain an overall impression of a potential candidate. Either method is representative of standard practices used by most recruiters and hiring managers today. 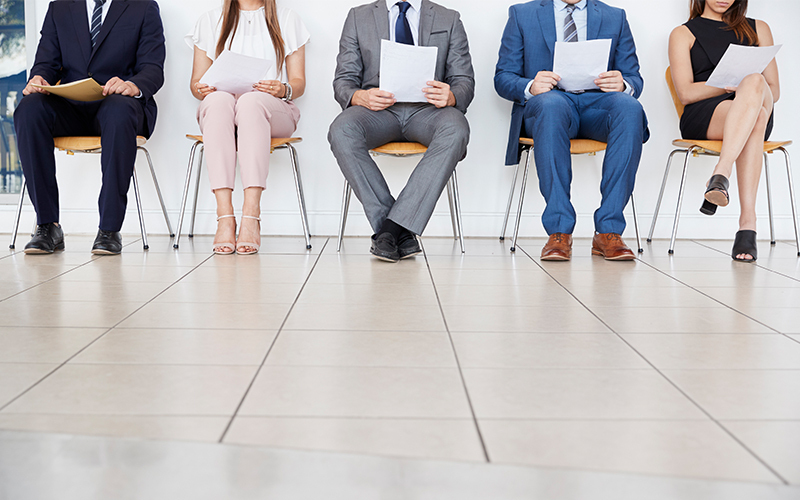 Recently, though, there has been a spate of research criticising the validity of job interviews, with some analysts even saying they should be scrapped altogether. 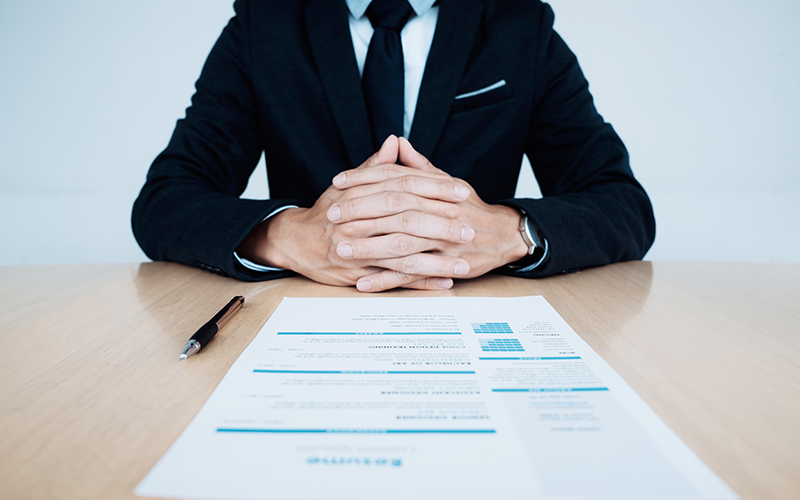 Is it time then, to rethink the job interview altogether? In a Fast Company article from April 2018 Psychology Professor, Tomas Chamorro-Premuzic summarises some of the research. For example, typical or ‘unstructured’ interviews are shown to have a mere 4% chance of predicting job performance of any given role, with predictability only improving up to 13% following structured competency based interview questions. Other studies referenced by Chamorro-Premuzic include one which confirmed that in employee selection, intuition and subjectivity are still largely favoured over more rigorous scientific approaches for identifying skills, knowledge and experience. And in another example, the issue of unconscious bias is raised, with studies highlighting how any attempt by interviewers to ignore preconceived views of gender, age, race, appearance, or social class, will, in fact, make these biases more prominent in their minds. In an article by Management Today from June 2018, the absurdity of assessing someone’s performance during ‘one hour’ as being a suitable way to measure their ability to do a job is debated. Interviews, the author argues, usually, if not always, benefit certain personality types, such as those with natural charisma and confidence – extroverts rather than introverts – as well as people who perform under pressure. Yes, the article agrees these can be great qualities for some roles, but they don’t always determine job success. Companies may also miss out on great talent, it says, because someone lacks these characteristics and therefore is deemed a poor ‘fit’ for the culture. In a popular TED talk from 2012, writer Susan Cain outlines how during the last few decades workplace cultures have changed to now almost entirely favour extroverts – large amounts of stimulation, shared desks, open plan offices. This has been detrimental for the personal and professional growth and wellbeing of introverts, who excel in quieter, low-key environments. Between a third and a half of the population are introverts, so that’s a lot of mismanaged talent and missed opportunities. Introverts, she says, also tend to miss out on leadership positions (we can assume because they don’t interview well) even though research indicates they’re better at delivering outcomes. In a now famous study from 2016, 21% of American CEOs were found to have psychopathic traits such as superficial charm and extreme self-confidence – perfect attributes for acing traditional job interviews – but not necessarily making them great leaders. 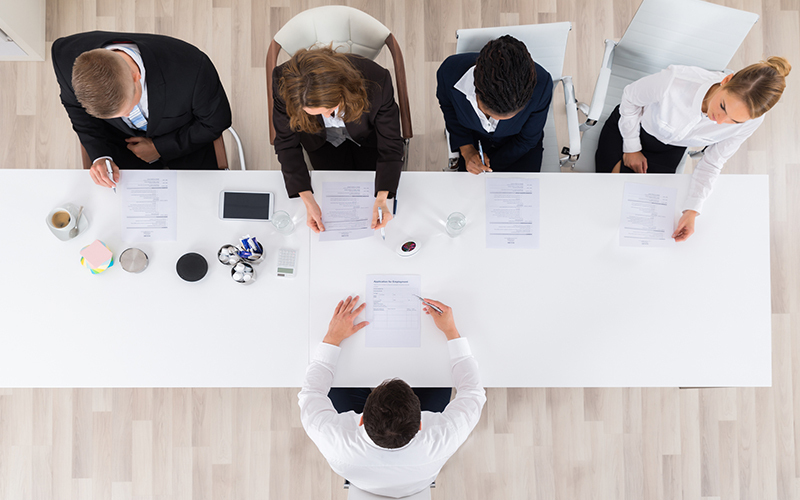 Both articles agree that competency based interviews need to take absolute precedence, but these interviews should go to an extreme ‘next level’ by using well-structured and consistent questions each linked to a specific numerical rating and scoring system. Chamorro-Premuzic takes this a step further again by insisting that interviewers should prepare carefully designed scripts to control the direction of the conversation, always seeking factual and ideally data-based confirmation, of a candidate’s skills, knowledge and experience – almost like a multiple choice questionnaire. Improvisation should be cut out completely, and any introductory ‘small talk’ kept to a minimum or avoided altogether. Significantly, these souped-up competency-based interviews, both Chamorro-Premuzic and Management Today agree, should never be used in isolation. Rather, they represent a component of the application process, which must include psychometric testing – proven to work better at assessing personality than human intuition – practical tests of ability and even reviewing a candidate’s appraisal data too. Earlier this year, Forbes highlighted that getting potential candidates to submit examples of their work for review– such as presentations, excerpts of research, lines of code and campaign materials ­– earlier in the applications process, ­can better inform interviews. And Management Today also suggests doing psychometric testing prior to the interview stage to help interviewers prepare more insightful questions. While our experts agreed that a typical job interview will never reveal for certain whether someone is a perfect fit for a role, having an intimate knowledge of your organisation’s culture, together with the tenacity to delve into a candidate’s experiences and achievements, will lead to success. Part of this is understanding someone’s personal preferences, habits and interests as all these things provide strong indicators of different behavioural traits. These will not only determine whether someone will ‘fit’ into a culture but inform how you should work with a candidate to help them integrate into the team and organisation. Interestingly, our consultants said they are mindful of different personality types when interviewing and try to challenge people, through their questioning, to flex their styles. Getting personal with candidates is also a valuable part of the service ­– it’s a tight market for talent and building rapport can go a long way to ensuring candidates choose your company over another. “Judging someone based on their charisma can certainly lead to hiring mistakes, but you certainly want people to feel relaxed and be themselves, because you’re more likely to get an accurate sense of who they are. You should never get seduced by a face to face interaction though – especially if you seem to get on well with the candidate. Under no circumstances does that indicate they will be right for the role. In conclusion, the overwhelming message from our experts is that using lots of sources of assessment beyond the competency based interview will enable you to get as clear a picture as possible of your candidates. While certain things are easy to assess accurately, such as qualifications and sector experience, softer skills and other nuanced aspects of someone’s experience, personality and knowledge can be better ascertained through a combination of things like interviews, presentations, psychometric testing as well as references. Submitting written reports and portfolios is required on occasion, with some companies even using group exercises and testing centres to establish teamworking skills and technical knowledge. All consultants were adamant that psychometric testing is valuable but should never be used as a pass or fail. Furthermore, they each agreed psychometric testing almost always reinforces your judgment while highlighting useful areas to probe further during a final interview stage. And finally, several people should be involved in candidate interviews to ensure a diluting of individual biases. Competency based interview questions are said to be the most effective way to determine whether a candidate is suitable for a role. Download our free interactive PDF that you can customise to use for your own competency based interviewing.